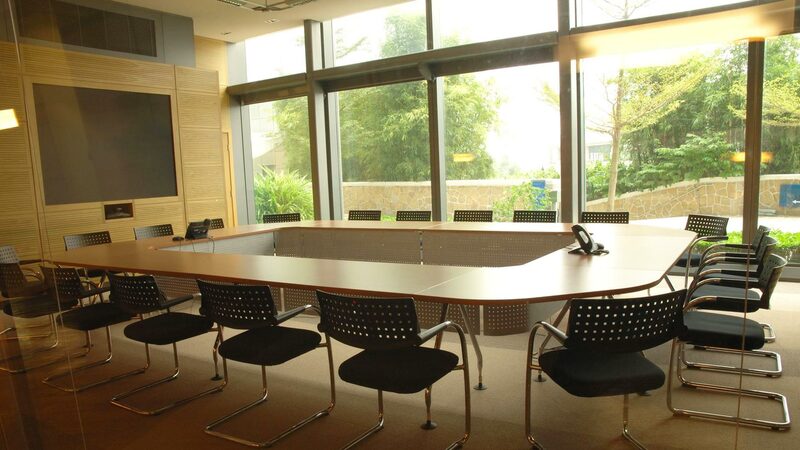 Whether you are improving an existing board room or starting from scratch, 5 North Media offers a variety of audio visual systems, control systems and interactive boardrooms to meet your needs. ‘Productivity for important rooms in your business such as a conference room, boardroom, or executive office is increased when all the smart technology and subsystems work together with simple control. When presenting to clients from a laptop, pressing a single “Presentation” button dims lights, lowers blackout shades, turns on video display, and audio. By integrating everything in a room from audio, video, lights, window treatments, networking, and communications you have complete and easy control from a single touch screen, keypad, remote or mobile device. No more walking over to turn off lights and lower shades or wasting time and getting frustrated during in-person or video conference meetings. One touch is all you need to set up a winning presentation. Whether you want to transform the classroom into a dynamic learning environment, or you require secure, reliable technology for an important meeting, our solution is simple for automating everything. As no two businesses are the same our solutions offer flexible solutions that can be tailore to your specific technology needs. Do more meeting and less planning with intelligent meeting room solutions that users reserve rooms on location or online. Meetings can get started on time and without hassle by customizing lighting, shades, AV equipment. Whether it's a small conference room or classroom, a busy meeting area, or a 500-seat auditorium, we are able to provide a scalable, reliable, and easy-to-use solution. ts.